If you haven’t already, be sure to check out my first Kate Morton book review of her noteworthy novel “The Forgotten Garden,” a review shared by Anne Rice. What do large,sprawling houses, copses of creaking elderly oak trees sighing with the wind, breathlessly anticipating that one individual that may, unbeknownst to them, tread upon a mystery….? This seems to be the most apt description of the recurrent beginning scenes of all unfolding Gothic mystery/suspence novels, including Anne Rice’s own The Wolf Gift, which had a house lurking with secrets, to which an unassuming journalist with the adventurous zeal of an explorer, walks away from the limiting reality of the concrete San Francisco, to a wilder, more unorthodox scheme of reality in which natural grows in untrammeled abundance. It is also the same atmospheric,moody, fretful portrait, fraught with unleavened vexations that sets the stage for Kate Morton’s novels, including The Distant Hours, The Forgotten Garden, where like Anne Rice’s The Wolf Gift, prodigious houses, playing host to deep, and potentially deadly enigmas, await that intrepid, inquisitive, wild-hearted detective, or journalist to venture into somewhere that has been subsumed by nature itself. It’s as if this house, a monolithic character in of itself, had been consigned to a nameless,utilitarian death, insofar that it holds no meaning to civilization, or conventional-minded people anymore. But it is the artists at heart, who dare to explore the depths of these houses, and exhume the secret depths of the house’s inhabitants, and learn the secrets that have almost weirdly lay in wait for them to uncover…..
And this is precisely the brilliant manner Kate Morton, with her signature deft hand at intermixing depth and intrigue of character, and a plot that has unpredictable turns, reversals, and redirection(s), sets the stage for her newest novel entitled The Lake House. It is a multifarious story, as all Kate Morton novels tend to be. It is also filled with paradoxical characters, who have as many hidden depths as the house within the novel itself. Also, the story plumbs the depths of the human psyche, exploring the ambiguity and nuances of memories that tend to be shadowed in suspect subjectivity. Featuring Sadie, a conscientious detective, who is embattled between her conscience and being dutiful to her job as a ‘copper’ (British parlance for ‘police officer,’ or ‘detective), and is forced by her superior, to reluctantly take a four-week vacation elsewhere,and this is when she founds herself, almost as if fated by the portentous force of synchronicity, happening upon a house that has been left for decades, estranged from the world of civility, reflecting Sadie’s own dejection from the world. This makes her the perfect candidate, seized and caught unawares by the forces of fate, to put to rest a mystery, surrounding the fate of a young-child that vanished in the midst of the perennial Midsummer festival, in the year 1933. Much like Belle from Beauty and the Beast lifting the heavy glass case around the glowing rose, Sadie’s very involvement with solving the mystery at the core of this story also seems to awaken other hidden depths. This is precisely where the story begins to evolve at an exponential rate before our eyes, weaving depths beyond the very cryptic, carefully-chosen words that Kate Morton uses, when utilizing her expert form of subtle writing- her most indispensable writing talent. The way the story seamlessly works through the psychological memories of all the characters who become involved in this wide, Gothic web of intrigue is richly engrossing, and you cannot help but keep turning the pages of this story, reveling in the nuance that comes to light throughout the course of the story. When the story could have easily fallen into formulaic areas, Kate Morton explores the dynamics of the British detective novel, while also exploring recurrent themes that have been a strong part of her writing, including the effect of subjective memories that people have, and the way that memories are altered by our experiences throughout life. We are never solely living in the immediate present, a fact which the Bible even spoke about in the admonition of the folly of doubting (ruminating), to concede the glaring psychology paradox of the past always haunting our present, as we either dread or idealize the future, depending on the way the past is perceived. It was also a way of remonstrating people, who let their unresolved past traumas negatively impact their present. As memories overtime can become pernicious neuroses, and our certitude that they can never be vindicated in the present can destroy our lives, and the lives of others around us. Another strand of this story that was strikingly poignant was that of the deep emotional bond mothers have with children, a theme touched upon in past Kate Morton stories, but explored with even more insight within this story. And this impressively bridges itself to the notion of inconsolable loss of life, whether it be that of friends or family, and a mother’s loss of a child may be just as deeply-impacting as that of a solider during the dispiriting trench war-fare of WWI that experience the death of a close friend, or brother. These sections may seem isolated, but they strangely enough emerge, through the mastery of Kate Morton’s writing, to be inexorably linked somehow, and this tight correlation between these events as they are recollected by various characters come to their logical conclusion within different ‘present’ frames of the story, and then converge into an even more mysterious relationship in the “sheer reality,” or “most present” frame of the story. All Kate Morton’s story juggle different subjective past(s), along with omniscient third-person present stories, in a very surreal fashion, to where it makes sense that this type of juxtaposition is the very way all of our lives interact with one another. Throughout other parts of the novel (especially when speaking about Alice’s mother, who is wistful over her lost adventurous, artistic spirit) there is a discussion of the meaning of fairy-tales, and what proverbial truths during our childhood help ingrain within us a sense of overarching purpose and meaning to our lives. This novel only further exemplifies on this concept, and its strange connection with that of the genre of mystery. As we get older, does our past look more like a fairy-tale, in that it becomes less pedantic, and more centered around the sobering memories we have that can best be described in a well-contained fairy-tale, or does our present make our past lives, and the wanderlust idealism seem far-flung, and again, fairy-tale like. What about mystery? Does the way the traumas of our past haunt us, perplex us, because traumas are never as well-understood, and easily resolved, as are ideal memories of the more optimistic past. All of these things are not elicited by writing that is ever mundane, boring, and too verbose, rather these things emerge subtly, through Kate Morton’s expertise with conveying things through images, and complex, and starkly realistic thoughts/emotions for her characters. 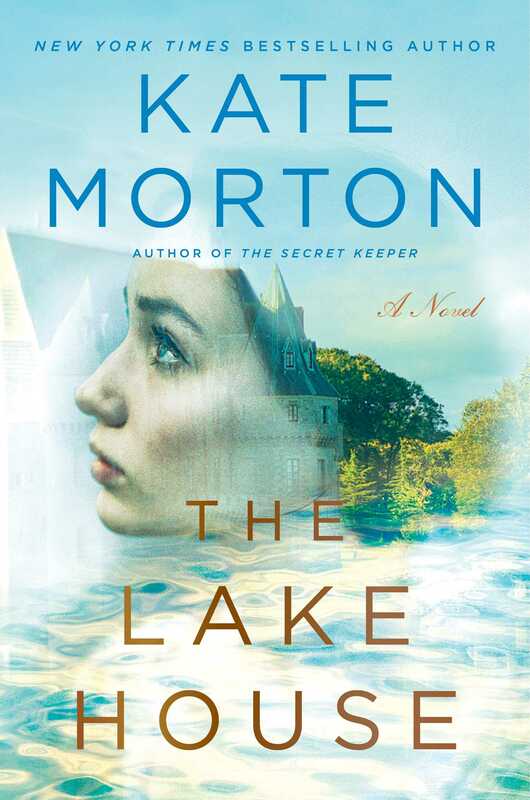 As a whole, The Lake House represents a sharp progression of Kate Morton’s favorite themes in writing, that of memory, the purpose and allure of stories, and how our very lives themselves are a tapestry of fairy-tale like idealism, and trauma-inducing mysteries. It is this dichotomy that eludes the reader, as they delve into this fantastically-written story, a testament to Kate Morton’s expertise as a writer. You will undoubtedly be unable to close this book at any time, and even then, the story’s haunting mood and tumultuous emotions will lurk within your own subconscious, persisting obdurately within your own memories, for this is a dream-like, immersive story that you’ll never completely forget. You are left to ponder, like the character of Peter who is reading Great Expectations throughout the course of the novel, whether all of these events and their strange coincidences are somehow fated/determined to happen. Because on a whole, the intrigue and suspense of Gothic novels is not what ultimately enraptures us, it is the deeper philosophical questions that these stories bring to mind of trustworthiness of our memories, the heritage of our families that we bequeath, the very sacrosanct quality of unsolved mysteries, and the question of why events in our lives sometimes have the vibe of feeling pre-meditated, or determined by much larger forces than the bogey of our past traumas, or hapless idealism that urge us to read far beyond our bed-times to unravel the mystery at the heart of novels like The Lake House.